US to lift female combat role ban Jump to media player US Defence Secretary Leon Panetta has decided to lift the military's ban on women serving in combat, a senior Pentagon official has said. 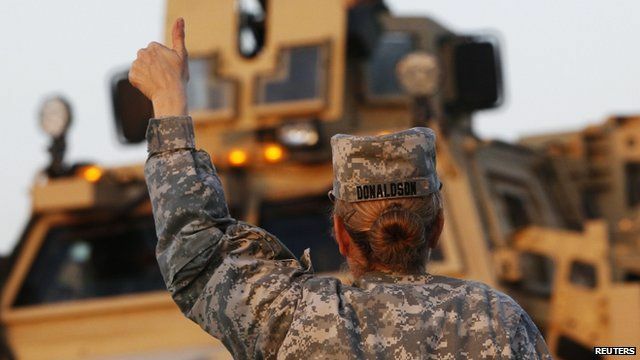 US female soldiers 'vindicated' Jump to media player A Pentagon decision to lift the ban on women serving in combat roles is "a vindication", according to one former US Army soldier. US Defence Secretary Leon Panetta has decided to lift the military's ban on women serving in combat, a senior Pentagon official has said. The move would overturn a 1994 ruling and could open hundreds of thousands of front-line positions and elite commando jobs to women.